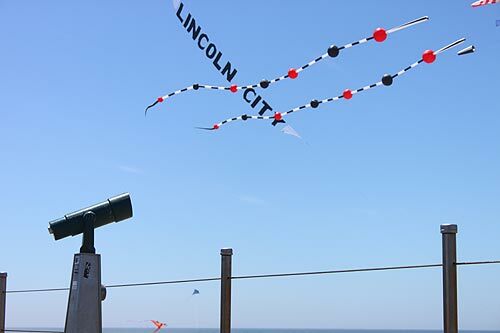 (Lincoln City, Oregon) – The central Oregon coast is gearing up for another kite display of gargantuan proportions, with the 36th Annual Fall Kite Festival on October 4 and 5. 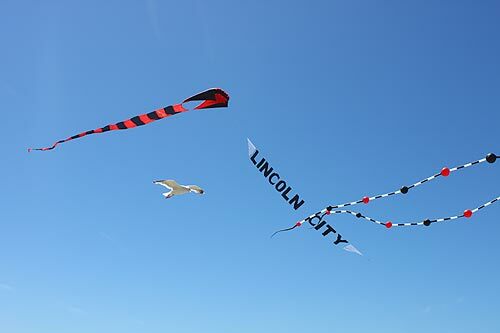 Both pros and amateurs join in the aerial fun and grandeur, as dozens of fliers hoist colorful and striking “show kites” into the wind along the beaches of Lincoln City's D River Wayside. It's free, it's family-oriented and it is one of the most impressive spectacles the Oregon coast sees all year. This year's theme is “Unleashed,” a fitting description of the aerobatic and imaginative objects that fill the skies. Activities include the Running of the Bols, which is a footrace across the beach with each participant harnessed to parachute kites. 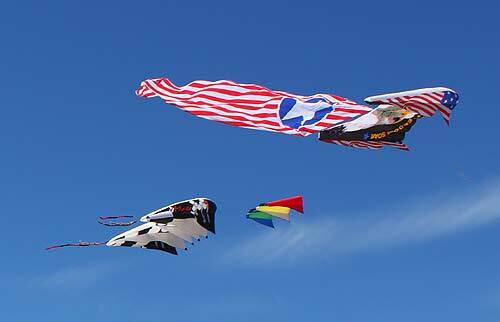 The Rok Battle has fliers duking it out with Japanese-style Rokkaku kites. Each of these professional stunt fliers and teams perform amazing routines utilizing some of the most advanced kites available. Amy Doran is not only a four-time American Kite Association (AKA) Grand National winner, but also mother of America's Got Talent top 12 finalist Conner Doran. Her son joins her on this central Oregon coast stunner for a new routine. "We are sworn to secrecy on it, so the only way to find out is to come down and see for yourself,” Doran said. She regularly competes in kite festivals around the country with her son, and will also perform their signature "Charlie Chaplin" routine – one that has won two national championships. For a more hands-on experience, try making your own kite from scratch at our kite-making clinic with Phantom Star Designs. Kids can get involved too with our free kite making workshops. On both days, kids of all ages can learn how to make their own paper kite and afterwards they can show off their colorful creations at the kids' parade. All kids attending the festival will receive a free passport to the event. Collect autographs in the passport from each of the featured fliers and be entered to win prizes – on top of all the aerial revelry. The event will run from 10 a.m. to 4 p.m. each day. 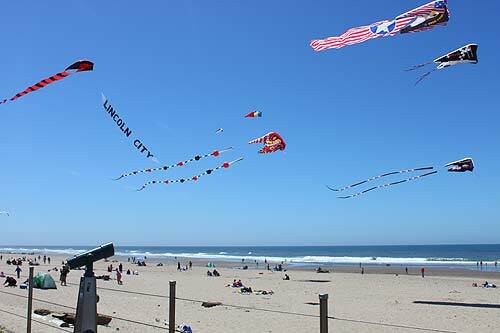 For more information on the Fall Kite Festival event schedule, contact the Lincoln City Visitor and Convention Bureau at 800-452-2151 or visit www.oregoncoast.org. More about Lincoln City at the Lincoln City Virtual Tour, Map.